O’Donnellan & Joyce auctioneers went into the auction room last Friday for the fourth time this year and with its biggest catalogue to date. Starting with 67 properties, 64 went under the hammer. The all-day auction was separated into two sessions, one in the morning and a second session after lunch. O’Donnellan & Joyce auctioneers held a four week extensive marketing campaign including a local and national campaign, advertising in some 15 publications, a number of radio stations, online, and with weekly open viewings. No stone is left unturned. Colm O’Donnellan of O’Donnellan & Joyce commented: "This campaign was very extensive due to the number of high profile properties including residential and commercial. It is a huge team effort by the O’Donnellan & Joyce staff and fortunately the hard work paid off." The auction room was packed to capacity with buyers, the bidding was quick and fast, with more than 15,000 people watching the auction live on the company's website and Facebook Live. The morning session included 41 properties and had some excellent results, the afternoon session with 23 properties saw outstanding results for a number of Galway city properties with most properties exceeding their reserve. There were a number of properties that showed a huge amount of interest from investors in particular Ruxton Court, a property just off Dominick Street in an area known as Galway’s West End with all amenities at its doorstep. This lot comprised one ground floor retail unit currently occupied by Paddy Power Bookmakers, two ground floor offices of which one is occupied, one first floor office currently occupied, and three two bedroom apartments, two of which are occupied. Bidding opened at €800,000 and after 14 bids the property sold for €930,000. Other properties of note included the following. Garden Close, Shantalla, Galway, a block of four three bedroom townhouses was sold as one lot. This is an attractive modern complex located just off Shantalla Road, Galway. The units are currently rented and are being sold with tenants in place. This property had huge interest from investors, the bidding opened at €700,000, after 23 bids from the floor the property was sold for €920,000. No 15 Lenaboy Park, Salthill, Galway, detached residence in much sought after location. Perfectly private setting in the heart of Salthill. Strolling distance to beach front, shops, and all amenities. Ideal family home, located close to a host of schools. This property stands on a lovely secluded site in one of Galway’s premier residential areas. There was huge interest in the room for this property, bidding opened at €350,000, after 41 bids the hammer dropped at €586,000. No 24 Costello Road, Shantalla, Galway, an ideal home for first time buyers. This semidetached home is adjacent to UHG and NUIG. A wonderful property full of character and potential and is only a short stroll from Galway city centre. Offers off-street parking with a gated entrance and substantial lawn. The bidding started at the AMV of €295,000, after 10 bids the bidding finished at €340,000. 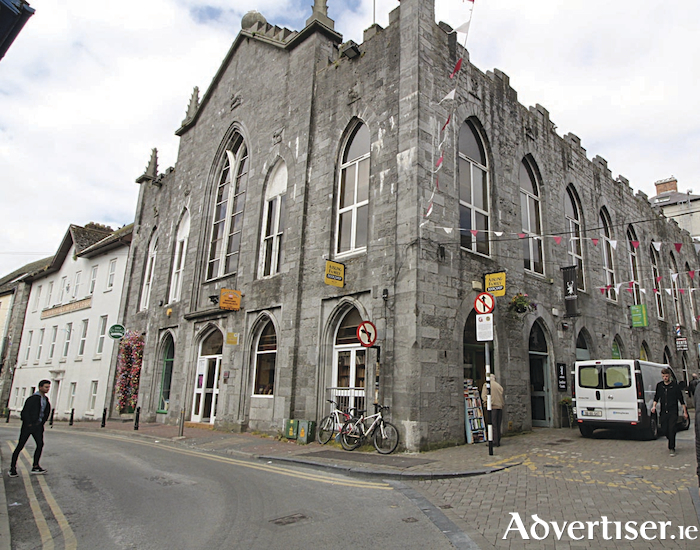 Cathedral Buildings, Middle Street, Galway, comprises 13 individual rooms split over third and fourth floor levels, located in the city centre. Contains communal toilets and canteen area. The offices on offer extend to approximately 2,660sq ft in total. An ideal investment, the property sold for the AMV of €150,000. Roxboro House, Raleigh Row, Galway, this unit is conveniently located close to Galway city centre just off Henry Street and also has access off St Mary's Road. The office is in top class condition and would be an ideal investment property. The property was sold with tenants in place. Bidding opened at €150,000, and after six bids the property sold for €175,000. No 69 Dalysfort Road, Salthill, Galway, a four bedroom semidetached house with separate apartment and a large west facing rear garden. Dalysfort Road is a short stroll from the Promenade and all amenities in the locality. The property has been refurbished and modernised to the highest standard. The bidding opened at €450,000, and after 28 bids the hammer dropped at €530,000. No 4 Priory Road, Claddagh, Galway, in an excellent central location, strolling distance to Galway city centre and Salthill. This two bed mid terrace property was an ideal investment or starter home. The bidding opened at the AMV of €195,000, and after 26 bids in increments of €5,000 the property sold at €326,000. No 3 Pointe Boise, Salthill, Galway, magnificent ground floor two bedroom apartment presented in excellent condition throughout. Bright and spacious with open plan living and kitchen area. Ideally located with only a short stroll to Salthill village and Galway city centre. The opening bid was €250,000, after 20 bids the hammer fell at €322,000 to a delighted buyer. Rusheen Bay Windsurfing, Barna Road, Knocknacarra, Galway: One of the best locations in Ireland for teaching water sports, and with easy access to Galway Bay. Excellent repeat business from summer camps, language schools, school tours, corporate and sports group team building, birthday parties, and hen and stag parties. This property had a huge amount of media interest due to the excellent amenity value it provides in Barna and surrounding areas. The property went into the auction at an AMV of €200,000 and sold for €218,000. No 9 Caladh Mor, Woodquay, Galway, a perfect city residence and, due to its central location, a quality investment. A lovely three bed end of terrace townhouse spread over two floors. Bidding opened at €190,000 and it sold for €240,000. No 6 Ballybrit, Monivea Road, Galway, zoned High Density Residential, this site offered an excellent development opportunity, comprising approximately 0.33 hectare (0.81 acre ) together with a semidetached bungalow on Folio GY42812. The site is located beside An Luasan, close to Briarhill Shopping Centre and business parks at Ballybrit and Parkmore. The bidding opened at €300,000 and, after a number of bids, bidding closed at €325,000. No 2B Tara Grove, Wellpark, Galway, a five bedroom semidetached property located within a stone’s throw of Cluain Mhuire, the arts campus of GMIT. This property was presented in superb condition. This was the final lot of the day and there was some very interested parties. The bidding opened at €260,000, after nine bids the hammer dropped at €300,000 to a very excited buyer. Sruthan Na Bhfeana, Carraroe, Co Galway, a modern architecturally designed property designed to maximise the panoramic breathtaking views over the harbour and out to Rossaveal. Sold for €230,000. Sruthan Na Teorann, Main Street, Carraroe, Co Galway, two modern commercial vacant office units. Fitted to a high standard suitable for various uses. Including private off street access. Sold for €72,000. Main Street, Carraroe, Co Galway, development land of approximately three acres, zoned in village centre. The development site is located in the centre of Carraroe village just off the main street and close to all schools and amenities. Sold for €122,000. No 89 Gleann Na Ri, Renmore, Galway, a modern apartment located within a secure gated complex. Situated just a leisurely stroll from GMIT, Merlin Park Hospital, and Bon Secours Hospital. The bidding opened at €110,000 and after 20 bids from the floor and also the phone the property sold for €137,000. Land at Truskey West, Barna, circa 2.76 acres of land previously used for agricultural purposes. Located close to Barna Golf Club and within 3.5km of Barna village. Folio Number GY69523F. Sold for €46,000. No 3 Rus in Urbe House, Bride Street, Loughrea, a two bedroom first floor apartment, located within walking distance of Loughrea town centre. The property was sold with tenant in place. Currently generating a rental income. Sold for €44,000. No 74 Cluain Riochaird, Galway, a three bedroom third floor apartment conveniently located to Galway city centre. The property was offered with tenant in place. Generating a rental income and presented in good condition, this property was an ideal investment. Folio GY7288L. This property sold to a delighted phone bidder for €135,000. Palm Tree House, Trihill, Ballinamore Bridge, Ballinasloe, a refurbished three bedroom two storey farmhouse in a rural location at Ballinamore Bridge. The property features an extension and stands on a circa one acre site. Folio GY78514F. Sold for €65,000. No 56 Riverdale, Oranmore, Galway, located in the centre of Oranmore village and within walking distance of all local amenities. The property was offered with tenant in place and generating a rental income. The property also comes with off street parking. An ideal investment opportunity, this property met the reserve price of €130,000. Properties that sold after auction included No 11 Manor Close, Kingston, and the site in Ballyquirke, Moycullen for €900,000. One property that was sale agreed prior to auction was No 24 Seamount, Threadneedle Road, Salthill, Galway. Other properties that sold along the Wild Atlantic Way included No 2 Old Ballygaddy Road, Tuam - €110,000; No 9 St Benin's, Tuam - €85,000; No 11 Convent Road, Abbeyfeale - €69,000; No 12 Elm Park, Orchard Court, Claremorris - €72,000; No 17 The Foundry, Ballinrobe - €85,000; No 14 Cluain Dara, Ballyleague, Co Roscommon - €110,000; No 7 Davitt Court, Ballindine, Co Mayo - €96,000; Knockbrack, Letterkenny, Co Donegal - €44,000; Main Street, Ballinrobe, Co Mayo - €74,000; No 9 Carbry Coast, Tullaghan, Leitrim - €35,000; McDermotts, Riverstown, Co Sligo - €90,000; Glenmullyanha East, Charlestown, Co Mayo - €80,000; Seeaghanbaun, Kilfian, Ballina, Co Mayo - €102,000; No 2 Lower Pearse Road, Sligo - €132,000; No 28 St Patrick's Terrace, Sligo - €94,000; and No 28 St Patricks Terrace, Temple Street, Sligo - €82,000. The next O'Donnellan & Joyce auction will take place on September 28 at the Harbour Hotel, New Dock Street, Galway. The deadline for properties is August 24. For more information contact Colm O’Donnellan on (091 ) 564 212. Details are also available from the auction team at O’Donnellan & Joyce Auctioneers, 5 Mary Street, Galway, 091 564 212.